Shepherd's Pie . 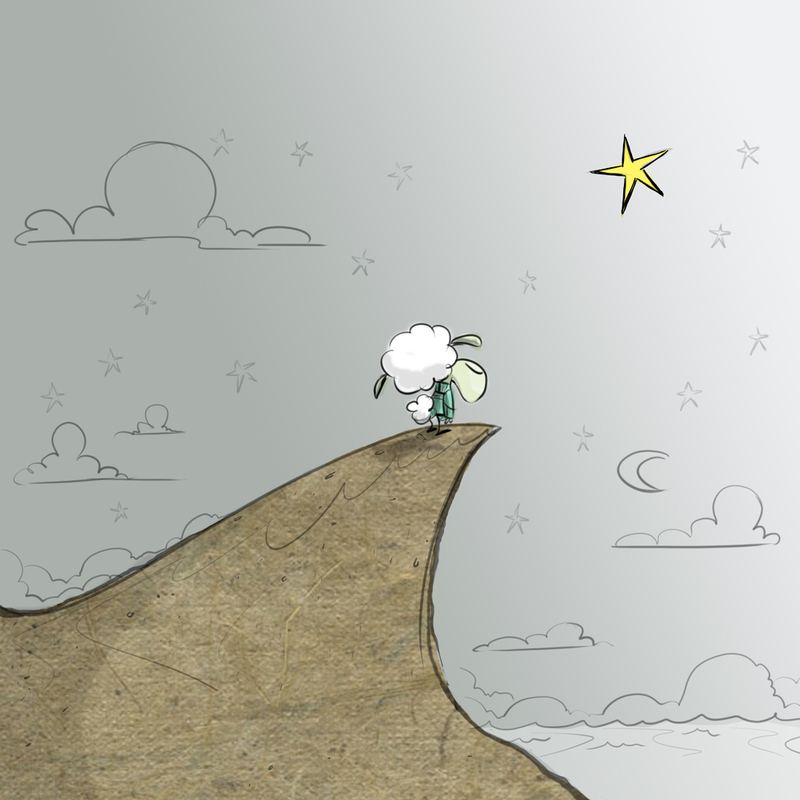 . .
...a thoughtful and caring little sheep that is searching for his place in the world. 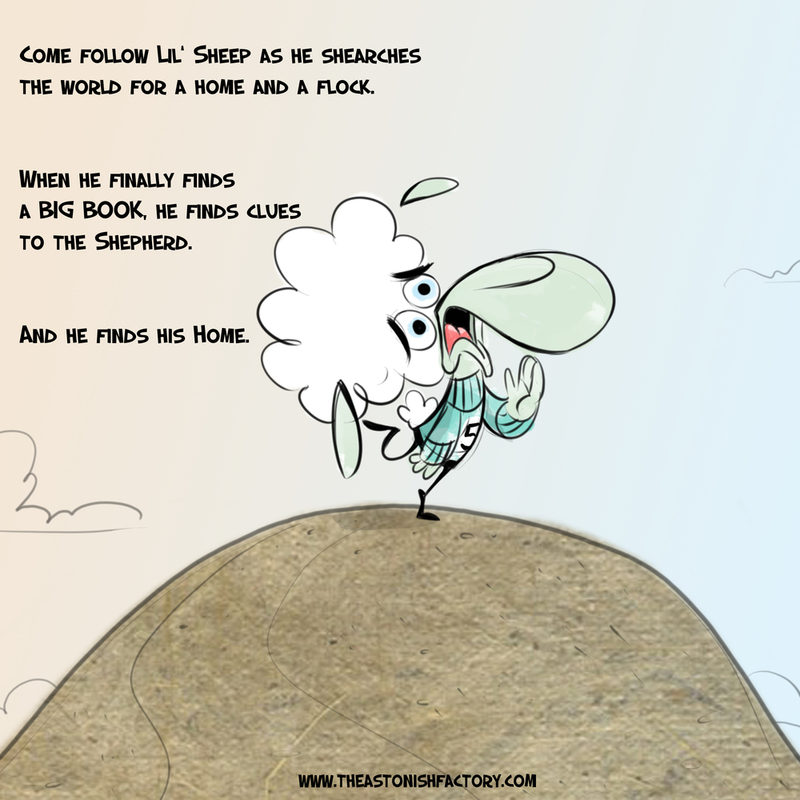 Lil' Sheep is lost and looking for a home and a flock. He finally finds clues to lead him to the Shepherd and finds a home. Whether in Sunday School or after school, it is a tale for the very young and young at heart to enjoy anytime. This sweet, simple storybook from Mike Kunkel is for the sheep in all of us that is searching for a gentle reminder that the Shepherd is always there to welcome us with open arms. 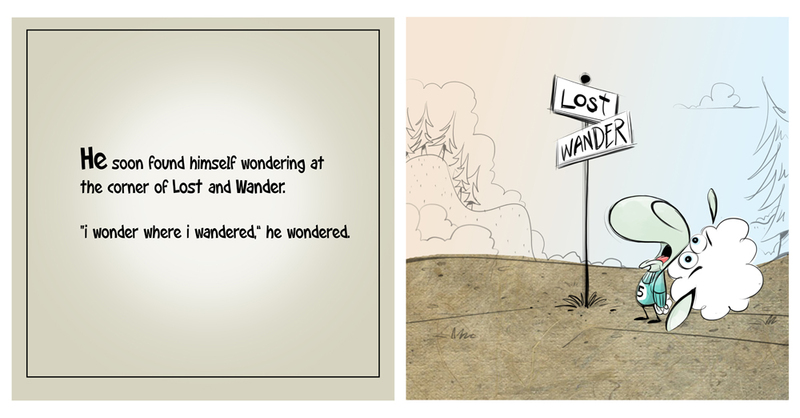 Some Sample pages from the Shepherd's Pie story book . . .